*Hugh Fraser is an author and actor who is well-known for tv series and films. He has played many roles over many years, including: The Duke of Wellington in Sharpe and Captain Hastings in the ITV Agatha Christie, Poirot series. In film he is credited in the Patriot Games, 101 Dalmations, The Draughtman’s Contract and Clint Eastwood’s Firefox. He also wrote the theme tune of children’s tv programme, Rainbow. He also supports the charity – First Light Veterans – supporting veterans of the emergency services and armed forces. In more recent years, he has turned his hand to writing, creating his protagonist -Rina Walker. When a member of the British Military Intelligence becomes aware of her failure to fulfil a contract issued by an inmate of Broadmoor, he forces her into the deadly arena of the Cold War, with orders to kill an enemy agent. Rina needs to call upon her dark skills, not to simply survive, but to protect those she loves. 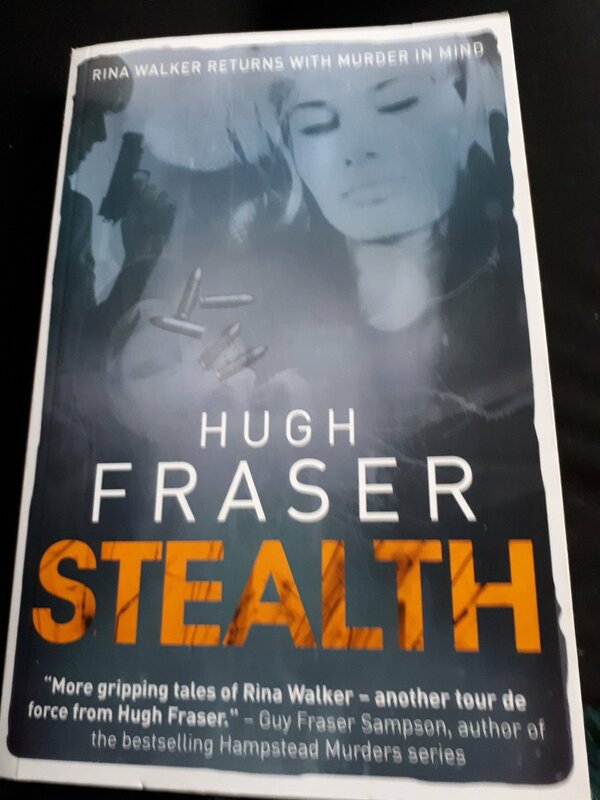 Stealth is the fourth and most recent of Hugh Fraser’s novels about assassin Rina Walker. It works well as both part of the series or as a stand-alone book, which is gripping from the very beginning, right to the last page. The action and non-action “scenes” are all very well constructed and flow very well, to create what is ultimately a great read. They are so different from what I would normally read, but I have read the series up to and including this latest book and I am glad that I decided to give them a go. The books have a very fresh and new feel about them in terms of content and writing style. 1967, Wardour Street, London is where Stealth begins. Right within the first couple of pages, the book springs into action. The areas used in London are familiar and well-known, even if not all readers are from London. Rina Walker, from the outset, comes across as a sharp, intelligent, strong protagonist and yet, not always cold as you may expect with her being an assassin. She has a warmer, emotional side to her too as she tries to protect those who she loves in her personal, private life. The words “Likeable” and “Assassin”, however, aren’t normally words I would couple together, but somehow Hugh Fraser has cleverly ensured that they do go together and really get the reader on Rina’s side. As the story unfolds further, she becomes more embroiled in the backdrop of the Cold War due to the British Military Intelligence agenda, after the Broadmoor incident. There are many spies and plans of torture afoot. There are plenty of twists and turns as she calls upon her “dark skills”, which she is very adept at and within her travels. She is well-travelled and certainly has some useful tools on her. Location changes are done very well, there is just enough to see her journeys between various places in London, Clackton to places abroad such as Istanbul and Athens, without compromising the pace. The pace remains quick enough to keep interest, throughout the detail, which also leaves enough space for tension to build and to wonder what is going to happen next. As for the time period, I was immediately pulled into the dark underworld on 60’s London, with its many shady characters. A picture is clearly painted, but not in a laborious way, it’s done that really encapsulates the era and connects well with the story within the dialogue. Moving onto the dialogue, it feels at a quick pace. The language used is believable for the time and each situation. There is also still enough room for imagination within this book, by the way that each “scene” is formed, in what feels like a natural way. Nothing about it feels contrived, which is good for the flow of it all. Hugh Fraser uses music of the era, which sets a certain tone and atmosphere. Music within books either works or it doesn’t. In Stealth, the music references work very well indeed! Every reference all adds to the atmosphere and you get a real sense of it all being carefully and deliberately thought out. They also give a real flavour of what was happening in the music scene in the 60’s. I think it’s worth mentioning that whether you lived through the 60’s or not, the songs used would be instantly recognisable to most and can still be heard on the radio, on some music tv shows and can be found on legal music streaming sites, so don’t let that put you off giving these books a go. Overall, Stealth is an excellently plotted and developed novel. It is sharp, with plenty going on to draw any reader in, even if reading about an Assassin isn’t your norm. It’s not all violence and torture, there are relationships, emotion, travel, music all enveloping this story too. As mentioned previously, there are 3 previous books, but this is the best one yet! Hugh Fraser’s writing improves book by book. If you have not already read the others, I would still recommend that you do. I am hoping there will be a 5th book to come, some time in the not too distant future. The ideas and writing coming from this author are great and they are books that, once you begin, you find you want to read more. 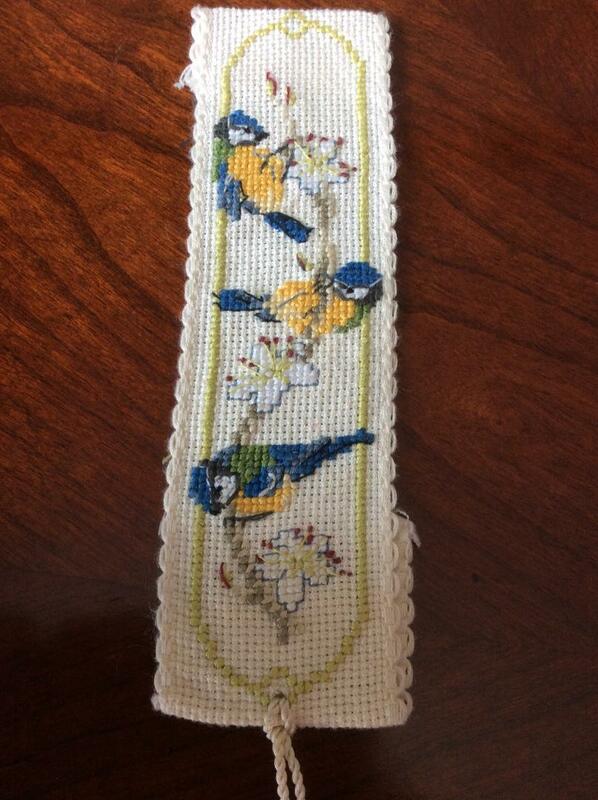 *With thanks to Hugh Fraser who gave verbal permission for me to take a photo and use it within my blog. Previous Post Screenwriters Who Write Novels Too! Sounds like an interesting read. Adds to groaning TBR pile.